Mira, look at the camera. Good Mira! Until Mira, I'd only had one dog in my life, and that was my buddy Fritz that my Grandfather got for me when I was only 4 years old. When I had to put him to sleep when I was 19, I wasn't sure if I would have another dog or not. Fritz lived a long, full life of 15 years, and I missed him a lot. Then I met Hanne, and with her came Mira. 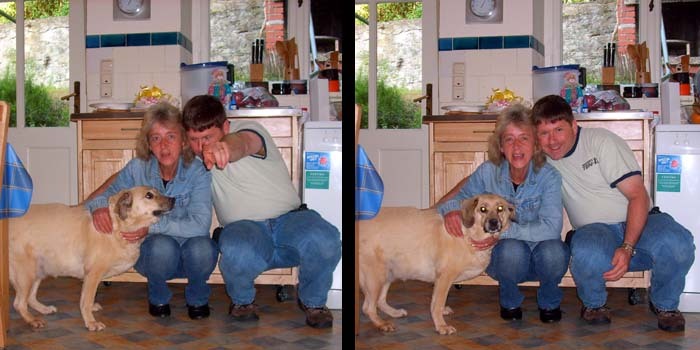 Hanne and I used to joke around that she married me for my money (yeah, right), and I married her for her dog. While that's not true in either case (What money? ), I did fall in love with our little sweetie. When I would get home from work, Mira would greet me at the door with whining, and barking, and wouldn't let me get by her without reaching down to pet her, or give her a big hug. We would take Mira for long walks in the woods until she was tuckered out, played tug-on-the-sock, and Hanne would start chuckling when Mira and I would talk to each other sometimes at night. Then the time came when we had to make the painful decision. 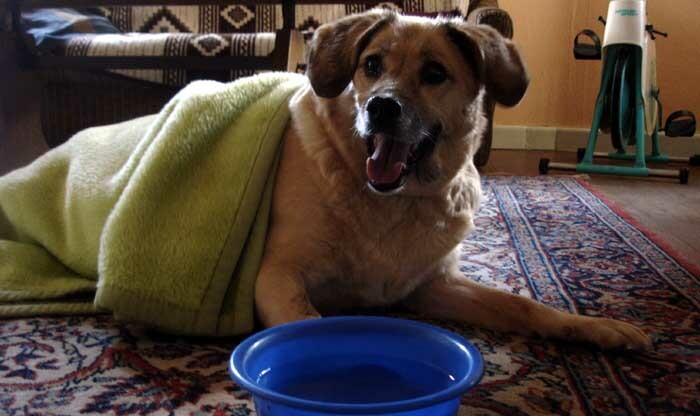 Mira had serious problems with her spine, arthritis in the legs and paws, and an inoperable tumor the size of a cantalope in her teats near her back leg. On top of this, she started to have difficulty with breathing. She was on pain medication and had some very bad days and nights. We didn't want to lose her, but we could no longer bear to see her suffer so much. We still love and miss our MIra very much, and want to share her with you.